Publications, publications, publications | Emilian Snarski M.D. Ph.D.
Camilla, Bernadette, Nikolai and Emil – they did a great job. Two publications are on the way and third will come soon. All students will get published with some nice IF – which is very exceptional – I do not remember that we had a single publication with IF from students and now we will have three with very, very nice one (and probably 3 publications coming in the next year… or maybe more). Looking at my own CV – I had no IF during my studies, the first IF publication I did few years afterwards. I am very proud of all involved and the way we worked our way through better or worse times of our lives – persisting and finally making it. The very exceptional case was publication of Bern who persisted in sending it to high IF journals – and finally proved me wrong – she got it published where I thought we had no chance – so nice to be wrong:-) Finally, it is me who many times believes when others have lost hope long before. Now I was on the side of disbelievers – so a big lesson for me. In medicine our small local problems, are indeed the problems of all medicine. The solutions we find here in our hospital are also important elsewhere. If find this solutions – we can make something important for our patients here, but also for other patients and doctors elsewhere. The student scientific circle of hematology department is being reborn. I can only hope that the way we will organize it will be a good foundation for success of all involved. 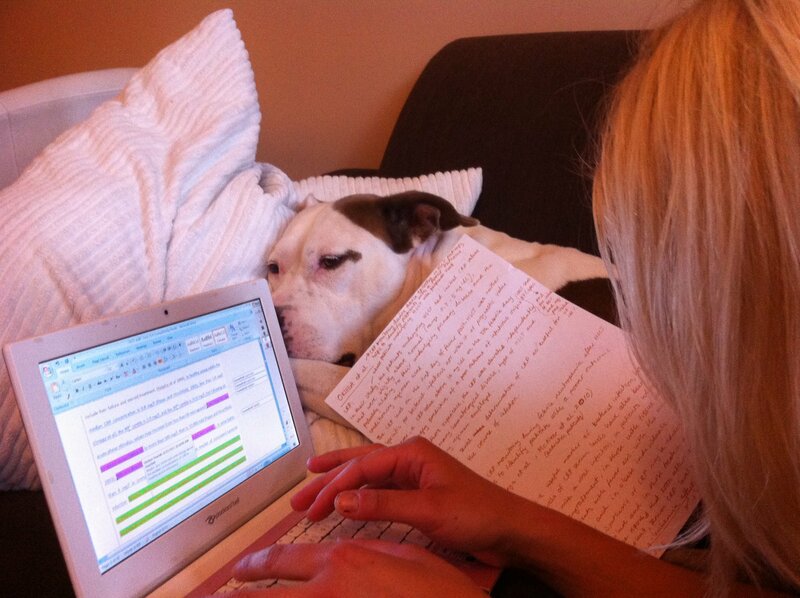 To remember this nice time of working together… photo of Camilla working old school way with her first publication.